Please remember that all online donations through the Seattle Foundation tomorrow, May 5th, will boost the amount of stretch funds they add to our total! Click here to learn more. Students are invited to join us for free bowling tomorrow after school! If they need a ride, they should see Joel to complete a Field Trip form. Horses + Gymnastics = Bella! Bella Davie, our 5th grader, loves horses and gymnastics and is a nationally qualified, prizewinning competitor in Equestrian Vaulting, a sport that combines both of her passions. 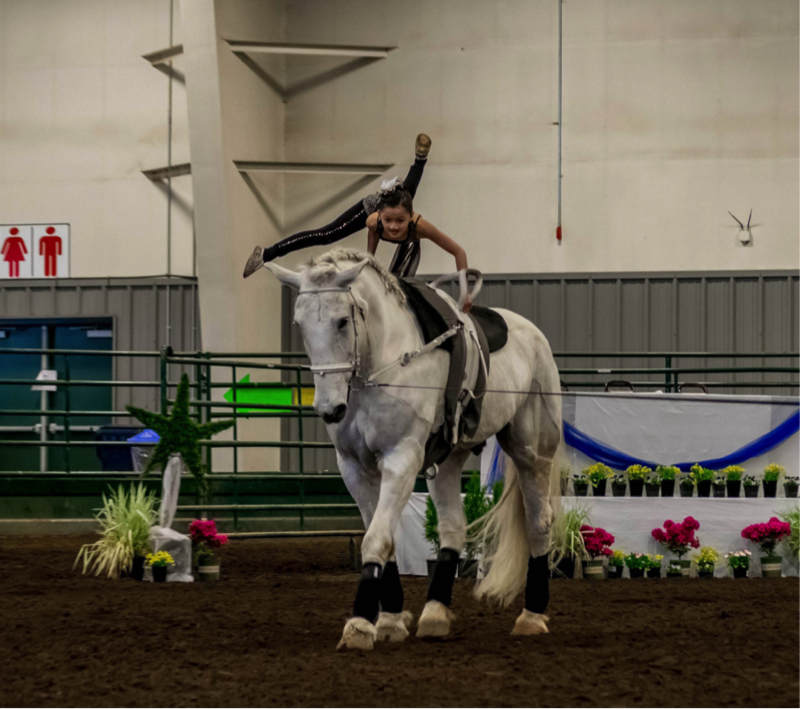 Equestrian Vaulting is an international sport that came to the US in the 1960s and has been growing ever since. It is a combination of horseback riding, gymnastics, music and dance where the vaulter performs on the back of a moving horse. The horse is controlled by a lunger and either walks, trots, or canters in a circle. Routines are performed by individuals, pairs or by teams. Bella is part of the Beau Soleil Vaulters’ team, and is a member of the American Vaulting Association. She participates in about five competitions each year. Last year, she competed at AVA Nationals where she placed 3rd in the US in her division (preliminary trot). She is competing this year in preliminary trot and has qualified to compete in Nationals in July. This past March, she competed in a Region III competition and won 1st place for her freestyle, 2nd place her compulsories, and 1st place in her pairs. Congratulations, Bella! When asked what she loves most about the sport, Bella’s response was quick and definite – the relationship she has with the horses. Her favorite horse is Azak (not pictured in the photos), who she loves because ‘he is sweet and cute – and knows how to be gentle.’ Azak was a therapy horse and has been trained to be in close contact with people. Bella smiled as she described how she cares for the horses she works with, from brushing them to taking care of their hooves. Theirs is definitely a win-win relationship. 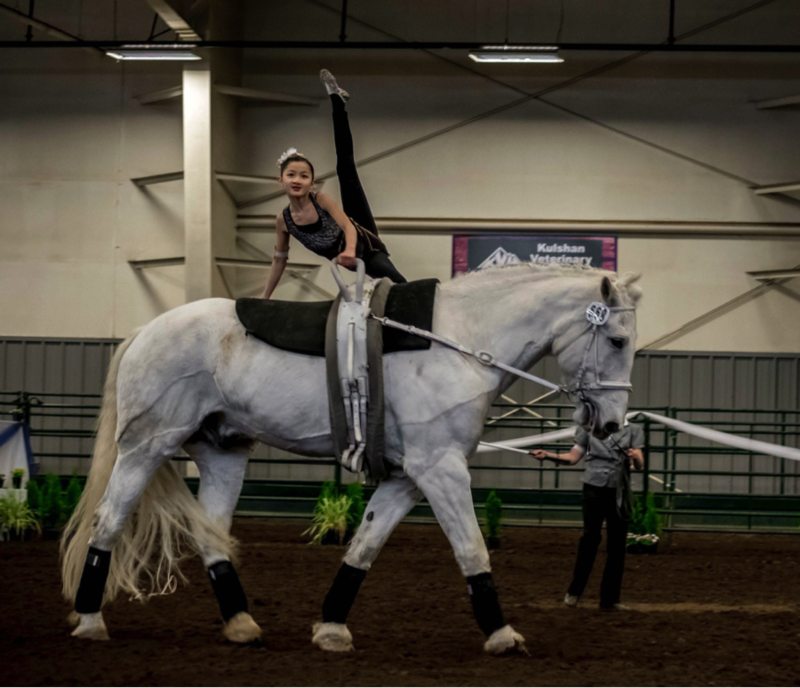 Her club is hosting a vaulting, aerial acrobatics and horse liberty show as a fundraiser for the club on Sunday, May 17, 2015 at 2:00 in Carnation – and anyone interested is invited. We are wowed by Bella’s skill and passion – and look forward to hearing more of her adventures. Good luck, Bella! 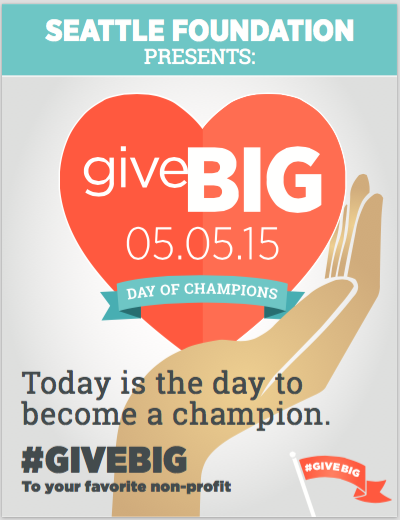 Bowling at ACME Bowl to celebrate GiveBIG—4:00 p.m.
Hist 9-11 Script Meeting—9:30 a.m.
Hist 9-11 Script Meeting—3:00 p.m.